Rabbi Noah Weinberg, head of the Aish Hatorah Yeshiva and one of the trailblazers of Orthodox Jewish outreach (kiruv). Rabbi Weinberg who grew up on Manhattan's Lower East Side, received his Torah education at Brooklyn's Yeshivas Chaim Berlin and Baltimore's Ner Yisrael Yeshiva, which was headed by his older brother Rabbi Ya'acov Weinberg. Rabbi Weinberg, arrived in Israel about four decades ago and studied at the Mir Yeshiva in Jerusalem and at Yeshivat Hanegev in Netivot. In the 1960s, Rabbi Weinberg established yeshivos and educational programs aimed at young Jewish men with secular backgrounds who were interested in embracing traditional Judaism. He was co-founder of the capital's Ohr Somayach and Aish Hatorah. In the mid-1970s, he left Ohr Somayach due to his different educational philosophy. 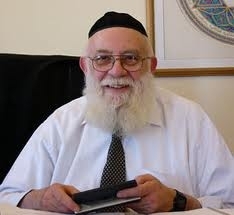 While Ohr Somayach encouraged its students to dedicate their lives to studying Torah, Rabbi Weinberg believed that after several years of study students who were the object of outreach should themselves get involved in reaching out to secular Jews, or they should find work in a secular workplace and influence fellow workers to embrace an Orthodox way of life.